Just got some free samples from Laneíge counter at Parkson Pavilion. I registered myself for the free samples on the Laneíge Facebook app. This is my first time using Laneíge. I'm very excited of how hydrated my skin will be. 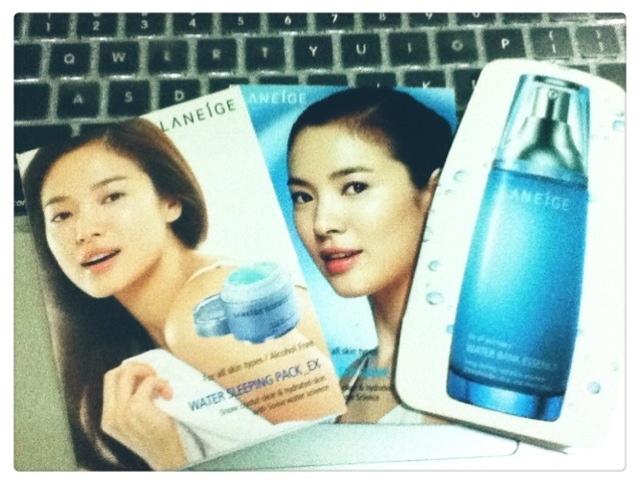 3 samples include Water Bank eye gel, Water Bank sleeping pack and Water Bank Essence. All from their Water Bank series. Register yourself at their Facebook page and try it yourself!